We offer our clients an unmatchable array of Cosmetic Shampoo Bottles, which are manufactured using excellent quality plastic material. Our range is applauded in the market for its superior quality, durability, leak & crack proof body and non reactive nature. 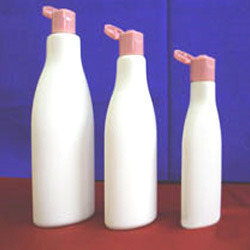 Extensively used in cosmetic industry, these bottles are available with various storage capacities such as 100 ml, 200 ml and 300 ml. 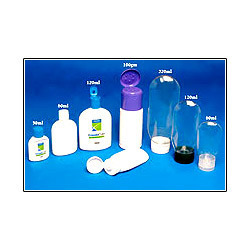 Our valued clients can avail from us a steadfast assortment of Gel Containers of excellent quality. These containers are designed in accordance with the current market requirements and can also be customized to meet the exact demands of clients. 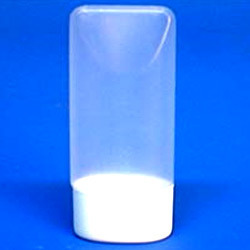 We offer these container with storage capacity of 30 ml. Our containers help against leakage of product inside container. We have for our clients a wide plethora of Plastic Cosmetic Containers, which are widely used in cosmetic industry for packaging of various cosmetic products. These containers are made available in various sizes in order to cater to the heterogeneous demands of the clients. Our containers are manufactured using high grade plastic, which does not react with the products in the containers and keep them safe. 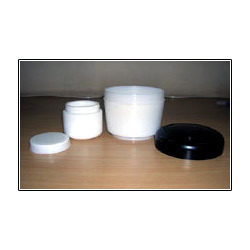 We are engaged in offering a qualitative range of Cream Jars with varied storage capacities of 25 gms, 50gms and 200gms. 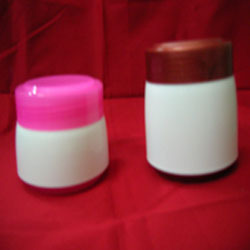 These jars are widely used in cosmetic industry for packaging of creams. Our jars are applauded in the market for their durability, light-weight, non reactive nature and leak proof body. We also provide customization services for these products in order to meet the specific requirements of clients. We bring forward to our clients a compendious range of Cream Containers at pocket friendly prices. These containers are light in weight, durable, chemical resistant and non reactive in nature. 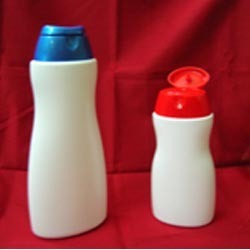 Our range of cream containers is accessible with varied storage capacities of 30 gms, 75 gms and 250 gms. Apart from these standardized sizes, customized options are also offered by us. With the support of dexterous professionals, we have been able to provide the customers with a commendable range of Shampoo Bottle With Oval Flip Top Cap. We design the range in strict accordance with the international quality standards using genuine raw material, advent tools and latest technologies. 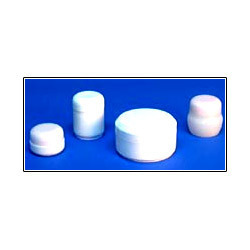 Our range is widely used in chemical, cosmetics and pharmaceutical industry. We are counted among the reputed organizations engaged in manufacturing, supplying and trading a comprehensive assortment of Double Wall Cream Jar. Fabricated using genuine raw material the range is widely used in FMCG industries, pharmaceuticals, chemicals and cosmetics industries. Appreciated for their stylish looks, the range is widely available in a wide variety of colors and designs. Looking for Cosmetics Packaging Products ?